Half-Handed Cloud is the project of Oakland resident John Ringhofer. Like associate Sufjan Stevens — who not-so-coincidentally worked on the mixing of Half-Handed Cloud's new album, Flying Scroll Flight Control — Half-Handed Cloud specializes in applying the DIY aesthetic to the richly orchestrated pop productions of The Beach Boys' Brian Wilson and occasional Wilson collaborator Van Dyke Parks, not to mention fellow travelers The High Llamas. 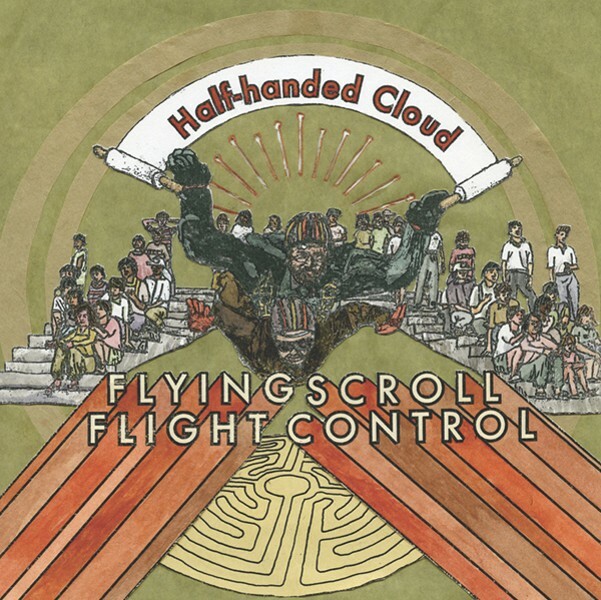 Flying Scroll is an impressive but frustrating sonic blur — nineteen tracks with a less-than-half-hour running time — that nonetheless has its charms. "We All Toil and Struggle," with its layered sprightly voices, whistling chorus, and perky melody, could almost be a Dwarves' song from Disney's Snow White, were it not for its we-can-do-it-if-we-get-with-Christ lyrical sentiments. ("Half-Handed Cloud" is a Biblical reference.) "Even if Angels Arrive With Plausible News" and "He Can't Deny Himself" are further expressions of Ringhofer's Christian beliefs and typify the album as a whole, full as they are of hyperactive beats, impish singing, upbeat declarations of faith, tinkling piano, swelling choruses, wheezing wind instruments, and assorted twitters, bleats, and blurts.